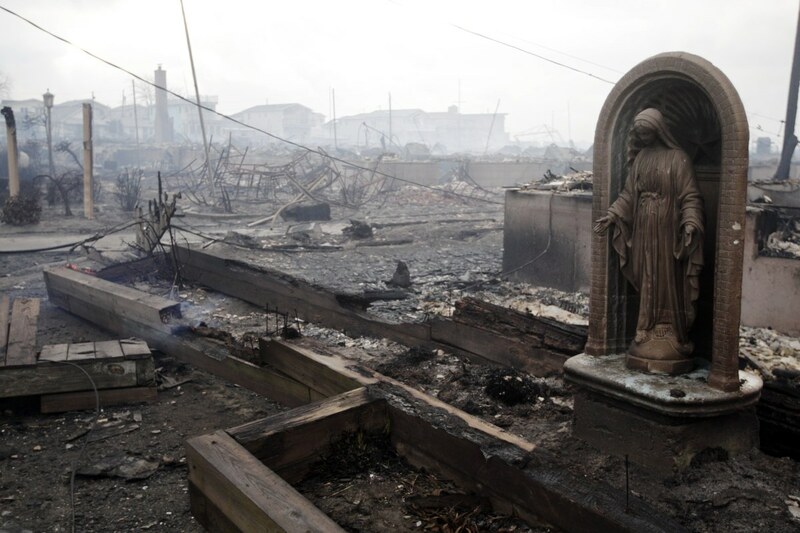 In the wake of Hurricane Sandy, the destruction of the city and the destruction within peoples’ lives is devastating. As a chaplain, I am used to hearing the stories of individual traumas, but I was not prepared for the widespread impact this disaster is having on the psyches of those in the tri-state area. I have spent the past week listening to patients, families and staff tell their stories as a way to process all that is going on with them. This is some of what I have seen and heard. Hospital staff put their lives on hold to work tirelessly. Sleeping on floors, sometimes not sleeping at all. Not going home. And in some cases not knowing if they have a place to go home to. Other staff members were at home in areas that were heavy hit and carrying those memories with them as they sought to care for their patients. Many of the patients who were evacuated from other hospitals talked about being terrified in the midst of chaos. Reports have said things were smooth and orderly, which I do not doubt, but patients are vulnerable to begin with and those vulnerabilities were exposed as they were carried down flights of stairs in the early morning. With the flooding and loss of mass transit, the hospital was very quiet. Family and visitors were unable to be at their loved ones’ sides. I often have patients tell me they can’t watch the news because it depresses them. The coverage of the Hurricane took that to a whole other level. In a city not unfamiliar with disaster, I’ve been hearing lots of comparison to 9/11. The overall theme is one of helplessness. That’s the same theme I hear as people navigate their diagnoses and the reality of the human condition. I am thankful none of our family were harmed much during the storm. I know your background is not wasted and was put to good use this past week. thank you for sharing the stories. Thank you for shining a light on this, Christine. Hospital staff and volunteers already give to patients and families; this experience showed how so many on the Eastern seaboard stepped up to give even more. I’ve been holding you all in my heart and will continue to ask that peace surround you. Blessings on you and your fellow Spiritual Care professionals. You have been in my thoughts and prayers Christine. I hope you can model that self care in the midst of the storm. Peace, strength, comfort to you and all of your peers and colleagues. Christine, You’re in my thoughts and prayers. After going through Katrina, you come to realize that each day you need to trust on the Lord to guide you, inspire your words, and enable you to remain healthy. Nothing can prepare you for the devastation and grief that the storms victims are experiencing. Ever since Katrina, I’ve felt blessed to have a home, family and a job. May the Lord surround you with His Blessings to be a blessing to others.